Mind you, I did not troll lists of YA books looking for the most meaningless titles. I actually read all of these books. And no, for the most part I can’t really remember what they were about. 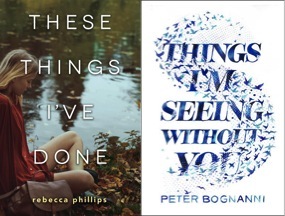 So I finished two of these meaningless titles in January – These Things I’ve Done and Things I’m Seeing Without You. Book about “Things” A was about a dead best friend and survivor’s guilt. Book about “Things” B was about a dead Internet boyfriend and the alternative funeral industry. I read. I wrote reviews. I moved on with my life. And what did I move on to?? The exciting world of Books for Adults! I mean, after I finished three books for Younger than Adults: two about criminals and one about cats. I’ve been wanting to read E. Lockhart’s latest, Genuine Fraud. It’s a rather action-y thriller with a really emotionally distant protagonist, which feels like a departure for Lockhart and did put me off somewhat. But it’s also about class and rich folks that live on the Vineyard, which is familiar territory. About half-way in, the tension really got me, and I sped through the second half feeling entirely uneasy. I finished reading the winner of the 1931 Newbery Medal on my Kindle – The Cat Who Went to Heaven with Elizabeth Coatsworth, which is the world’s shortest book. It’s about a Japanese artist and his helpful genius cat who really knows what the Buddha was about and – spoiler alert – dies at the end. That’s really all I can say about that one. And then, my book club’s choice for our February meeting. 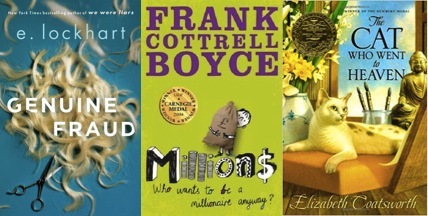 We are officially reading Sputnik’s Guide to Life on Earth, but Frank Cottrell Boyce’s debut – Millions – is an optional choice. And of course, when you offer me two books, I will read them chronologically. Millions was quite charming – loved the single-dad-to-boys family dynamic and the just preposterous enough premise. 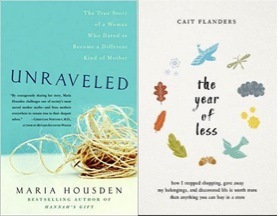 I listened to two memoirs on audio – Unraveled, a story of how the author went from happy SAHM to divorced and living with her lover in California while her ex-husband maintained physical custody of their three children – and The Year of Less – a story of a twenty-something’s choice to give up shopping for a year. Both were good audio fodder, but The Year of Less was definitely my favorite of the two – strangely enough, it felt much more intimate and revelatory than Unraveled, even though the subject matter was more quotidian. I also read two memoirs… in print. As in, books that don’t read themselves to you! My first choice was driven by the sad realization that while I have access to plenty of pre-pub books at work, I never… actually… read any of them. So I grabbed Maggie O’Farrell’s I Am, I Am, I Am, and I really enjoyed it. Excellent prose, short chapters, and very… I don’t know… womanly. Stories about pregnancy and childbirth, about relationships with men in her life, about caring for children and her parents and growing up. It definitely had a woman’s sentiment. 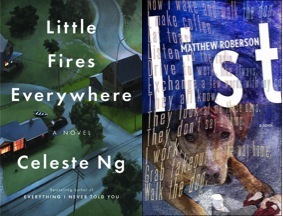 The second was driven by my not-so-brief list of Books I Really Do Want To Read Someday. 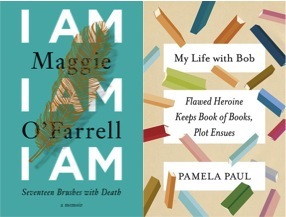 I picked up Pamela Paul’s My Life with Bob on a Saturday when I had cramps and was also coming down with a cold. A perfect couch-bound weekend read. Also, I’m deeply envious of Paul’s… um… life. As a whole. Aaaand…. theeeenn… two straight nonfiction books. 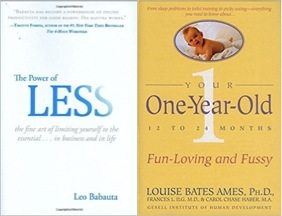 I did conquer Leo Babauta’s The Power of Less. I was… Less than Impressed. It was fine, really, but not great. I might write more about it later. And speaking of (pint-sized, rambunctious) productivity-challenges, I also read Your One-Year-Old by Louise Bates Ames, which is a parenting manual written the 80s. I read the first half when My One-Year-Old was just about to be One; I read the second half when he was almost 19 months. Some of the advice feels dated (child leashes anyone? ), but it’s a bit more holistic than modern baby-raising-manuals, which tend toward the clinical in my experience. It was nice to read about how nutty young toddlers are – in great behavioral and developmental detail – and then have the authors say, repeatedly, “Oh, one-year-olds. Can’t teach them anything! Just wait a few months” and feel better about myself. I’m officially out of thematic and format-ic connections. Also: damn. I read a lot this month. 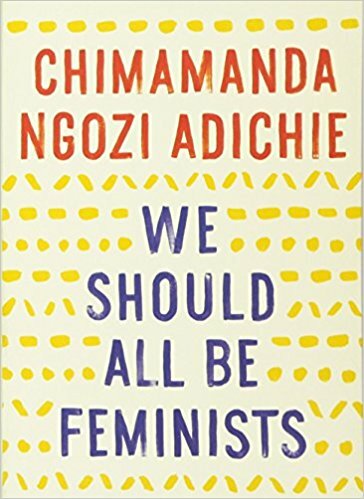 I listened to Chimimanda Ngozi Adichie’s incredibly brief We Should All Be Feminists while I cleaned my house one weekend, because was Available Now on Overdrive and I was sucked in by an audiobook that was shorter than an episode of the The Marvelous Mrs. Maisel Goys. I remember very little except thinking, “Oh yes, I agree with that,” quite often. You may have noticed that I have skipped from November to January in these (potentially)-faithful reading round-ups. Did I read nothing? No books for 31 days? Au contraire, mon frère. I read about fourteen books in December of 2017. Most of them meaninglessly-titled review books; two adult non-fic re-reads (see: stress); and an adult fic book that topped many Best Of lists when it came out years ago that I just now got around to reading and, of course, loving. See you next month, when I will surely have received the gift of brevity that so blesses most folks who write monthly reading round-ups.